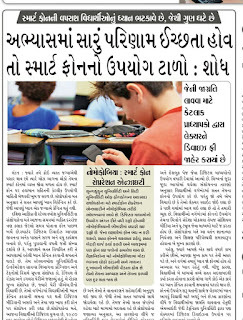 Gujarat Government has make primary teacher welcome TET exam.Here is information about TET 1 Exam and competitive exam special Gujarat Darshan e book. 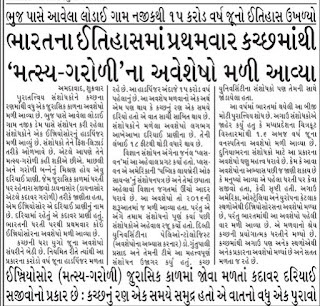 An employment notification for ISRO Recruitment has been transmitted by Indian Space Research Organisation. Achievement oriented and skilled Contestants can apply by submitting application form for the 84 positions of Junior Research Fellows, Research Associates before the end date which is 17th November 2017. 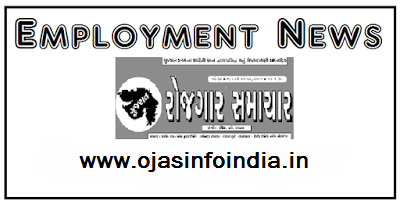 Job finders who are willing to join this organization can apply against ISRO Jobs & can collect the remaining information about ISRO Recruitment 2017 through this page which is well equipped by dedicated and devoted team members of www.ojasinfoindia.in site. ➤Essential Qualification: Those job hunters have done the 10th / ITI / Diploma / Graduation Degree / Post Graduation Degree from a recognized University or Institution may apply. Age of contenders must be between 18 to 35 (Post 3-10). The maximum age for the candidates who are going to apply for Jobs is 28 Years (Post 1), 35 Years (Post 2). Salary Structure: Successfully recruited applicants for Junior Research Fellows, Research Associates will attain attractive and impressive salary of Rs. 25,000/- (Post 1), Rs. 36,000/- (Post 2), Rs. 44,900 - 1,42,400/- (Post 3-8), Rs. 21,700 - 69,100/- (Post 9,10) from organization. Contenders, interested to apply against Indian Space Research Organisation recruitment they have to go through the Written Test/Skill Test/Interview round that will be organized by the recruitment panel of organization. Visitors have to visit the Official Website to apply for ISRO and that is http://www.sac.gov.in. At last candidates should take a printout of submitted application form and send complete application form to the postal address that is well mentioned below. Starting Date of Online Submission of Application Form Is : 23-10-2017. ➤Dead Line of Online Application Is : 17-11-2017. ➤Last Date for the Submission of Application : 30-11-2017. Click Here For ISRO Vacancy Notification Link 1. Click Here For ISRO Vacancy Notification Link 2. 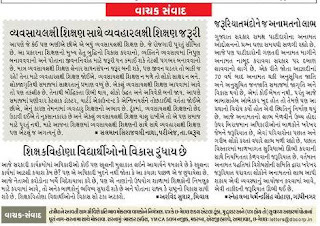 Here is All Education News of 29th October 2017 about School fees news, Science collages Admit ion news,Municipality news,Gujarat Vidhyapith News, Collage news,Vidhyasahayak Bharti news,and All Types of News. 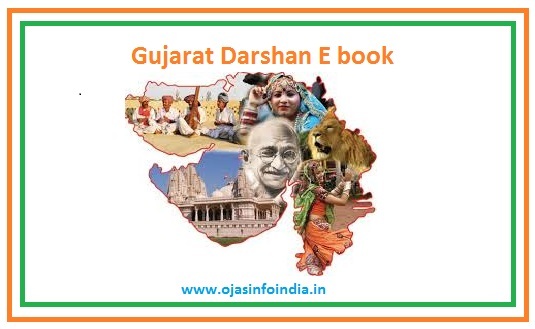 General Administration Department has released Holiday List of Year 2018 .This List is Very Useful to See Holiday in Year 2018, in Holiday List 3 Types are Holidays Include – General Holiday (Jaher Rja),Optional Holiday(Marjiyat Rja),Bank Holiday (Bank Rja).you can download Gujarat Holiday List 2018 from Official website www.gad.gujarat.gov.in or from below link. Staff Nurse Vacancy for B.Sc Nursing M.Sc Nursing ANM Auxiliary Nursing Midwifery Diploma in GNM General Nursing Midwifery Ph.D Nursing candidates. 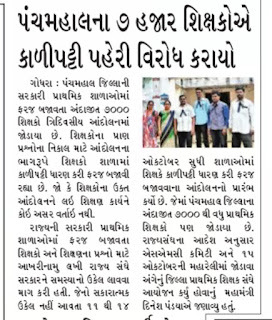 Many Talented Aspirants are eagerly looking for Staff Nurse Vacancy Central and state Govt jobs. The Candidates who are completed minimum B.Sc M.Sc in Nursing Education qualification having huge number of Staff Nurse Vacancy Job opportunities across India. The Govt of India Department of Indian Nursing Council has Vision to develop Health Department Training main objective to develop unique High standards of training Recruitment for Nurses Midwives Nursing practitioner and other Designations. Indian Nursing Council providing Uniform Standard Education in Nursing Department. The candidates who are completed courses in Nurse Midwife Auxiliary Midwifery Nurse having Knowledge in all aspects are eligible for the Following posts. Indian Nursing Council is responsible for the promotion of Nursing Research in high quality and Service. Main Objective teachings of Indian Nursing Council for the candidates is Staff Nurse Responsibilities duties Service to the patients with Whole heartedly . And Also both Male Staff Nurse and Female Staff Nurse Should follow basic ethics and Dressing manner professionalism punctuality quality of Nursing. Broadcast Engineering Consultants India Limited has declared An employment notification regarding BECIL Recruitment to inform the Diligent and dynamic Indian Citizens for the 03 unoccupied posts of Programmer, Technical Assistant. Eligible Participants can apply for BECIL vacancy by filling offline application form before the last date that is 15th November 2017. Eligibility Criteria: Candidates must have completed the Diploma / Graduation Degree / Post Graduation Degree or its equivalent with good marks from a recognized University / Institution. Candidates belonging General / OBC Category need to pay an application fee of Rs. 300/-. Candidates who are belonging to the SC/ ST /PWD categories they are exempt from application processing fee. Contenders that get shortlisted after qualifying the selection process will get Rs. 35,000/- (Post 1), Rs. 25,000/- (Post 2,3) as per organisation norms. Contenders the first and necessary step is to visit the official site of the organization that is http://www.becil.com. This will open a list of the links having latest openings and candidates have to select the most appropriate link which will open the complete advertisement having further details regarding BECIL Vacancies. Last Date of Receipt of Applications : 15-11-2017. Air India Engineering Services Limited is looking for the Ambitious, fascinated and proactive Indian Nationals in order to hire up 75 vacant posts of Driver, Utility Hands. Recently, Air India Engineering Services Limited has published A latest career related advertisement as AIESL Recruitment. To complete this recruitment process Applicants who wish to do jobs in this organization and satisfying all the requirements may attend walk-in interview on 30th October 2017 at the given venue. 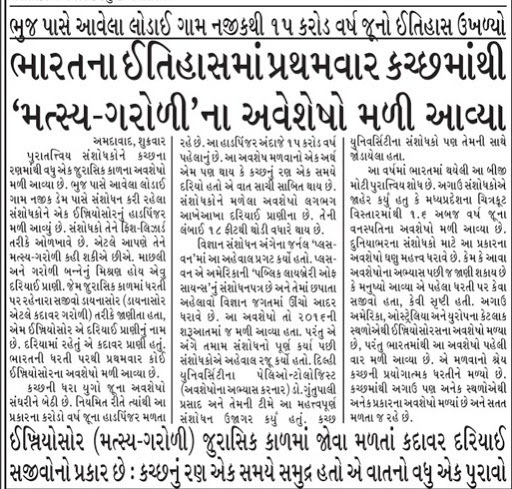 Candidates belonging General / OBC Category need to pay an application fee of Rs. 500/-. Candidates who are belonging to the SC/ ST categories they are exempt from application processing fee. The candidate’s age should not exceed 55 Years As on 31-08-2017. Monthly Remuneration: Those applicants who will be recruited successfully against AIESL they will attain salary of Rs. 15,418/- from recruiting organization. Selection of applying aspirants will be based on their performance in Interview / Trade Test which will be conducted by the recruitment panel. How To Fill AIESL Application Form? Job seekers are interested to apply for above mentioned positions firstly they need to go through the official website that is http://www.airindia.in. Walk in Interview Held On : 30-11-2017. 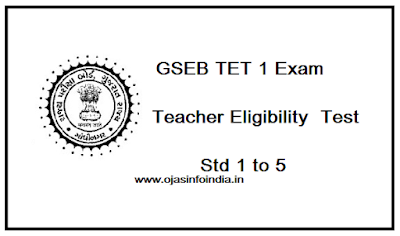 Friends Here is information about TET 1 (Teacher Eligibility Test) Examination Study Materials, Previous Year Question Papers,Answer Keys, Syllabus For Better preparation. Our Aim To Provide You A Best Study Material For HTAT, TET-2, TET-1 Preparation. So if you Like This Study Material Plz Share this Page with Your Maximum Friends. Voter Verifiable Paper Audit Trail (VVPAT) machines are used during election process to verify that the vote polled by a voter goes to the correct candidate. VVPATs are a second line of verification and are particularly useful in the time when allegations around Electronic Voting Machines’ tampering crop up. Parties have been making regular demands for VVPATs to be used during elections after alleging EVMs may not be completely secure and tamper proof. After a voter presses the button on the EVM against the chosen candidate, the VVPAT prints a slip containing name of the candidate and the election symbol and drops it automatically into a sealed box. The machines give the chance for the voter to verify their vote. The machine is placed in a glass case in a way that only the voter can see it. The slip is displayed to the voter for seven seconds after which the VVPAT machine cuts it and drops in into the storage box with a beep. The machines can be accessed, though, by the polling officials and not by the voter. The Supreme Court of India, meanwhile, has for long held a supportive and extra cautious stand when it comes to voting. It had directed the EC in 2013 to introduce VVPAT in Lok Sabha Elections 2014 to improve voter confidence and ensuring transparency of voting. It was used in some phases but not in the entire polling process. Age Limit: Candidates age limit is 33 years. Educational Qualification: Candidates should possess B.Sc. (Nursing)/ Diploma in General Nursing & Midwifery with must passed Computer qualified exam. Selection Process: Selection will be based on Written Exam/ Interview. 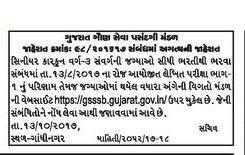 How to Apply: Eligible candidates can apply online through the website www.ahmedabadcity.gov.in on or before 25-10-2017 till 05:30 PM. 4. Fill the details carefully. 5. Click on Add Button to Add Record. 7. Check the check box of agreement before final Submission. 8. Finally Take a printout of Online application for future purpose. Last Date to Apply Online: 25-10-2017 till 05:30 PM. Age Limit: Candidates age limit is 43 years. Educational Qualification: Candidates must passed Senior Inspector Exam with 10 years Experience. How to Apply: Eligible candidates can apply online through the website www.ahmedabadcity.gov.in on or before 23-10-2017 till 05:30 PM. 8. Finally Take a printout of Online application for future reference. 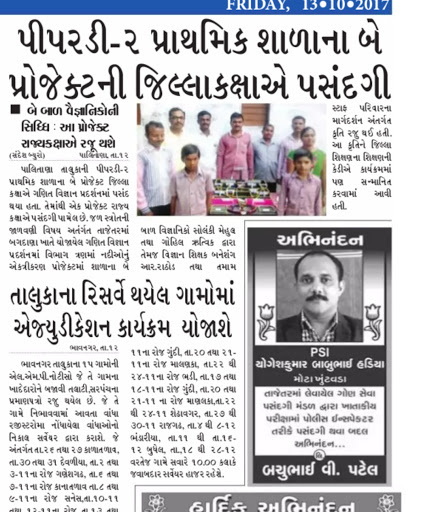 Here is All Education News of 13th October 2017 about School fees news, Science collages Admit ion news,Municipality news,Gujarat Vidhyapith News, Collage news,Vidhyasahayak Bharti news,and All Types of News. State Education Board of Gujarat has released an employment notification for the candidates who are looking for the jobs. 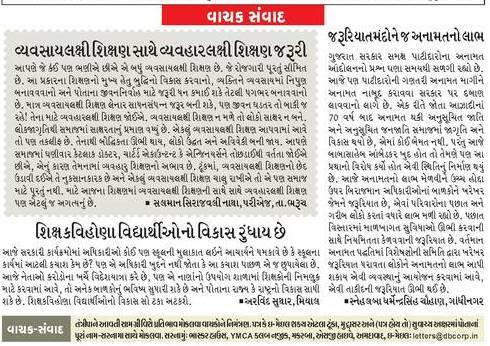 Many of the candidates have been looking for the Head Masters Recruitment in the schools of Gujarat. 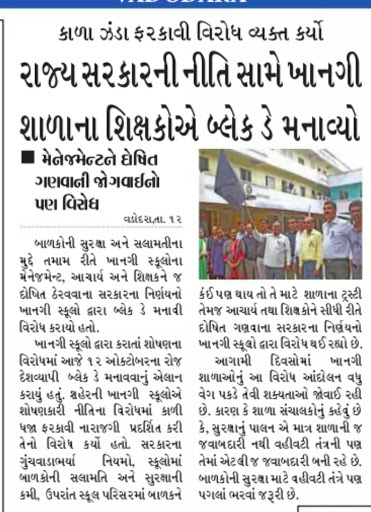 Finally, everyone is happy with the recruitment of Gujarat State Education Board for the post of Head Masters. 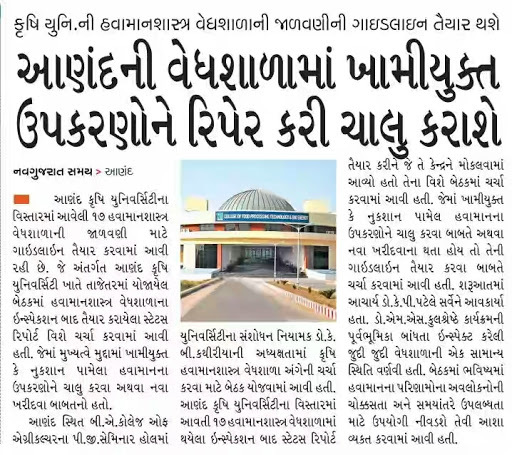 Gujarat Board conducts HMAT exam for the recruitment of Head Masters. HMAT stands for Head Masters Aptitude Test. So, all the candidates who would like to work as the Head Master post in the Gujarat State need to appear for the HMAT test. All the candidates can view the SEB HMAT Results by clicking on the link provided above. 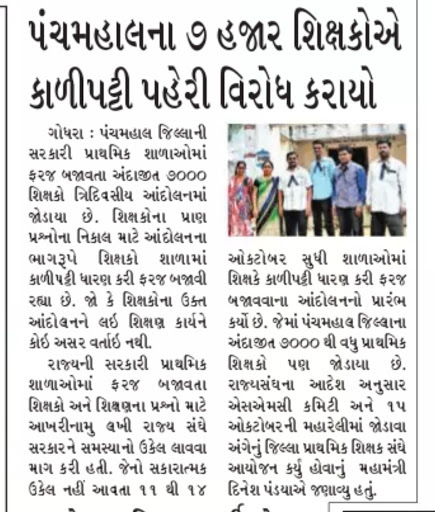 Candidates need to follow some simple steps to view the Gujarat SEB HMAT results. We will soon update the date of the SEB HMAT Results soon after the official announcement comes out. 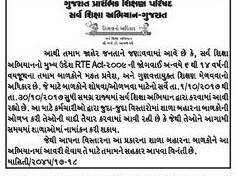 Also, Gujarat State Education Board officials will decide the cut off marks for the Head Masters Aptitude Test. Candidates who have appeared for the HMAT exam can view the cut off marks and the details of the merit list from the official website. 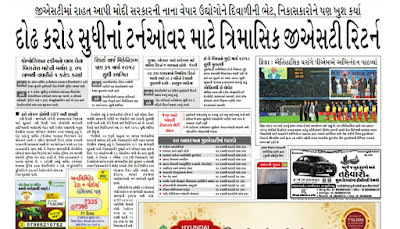 Candidates must score the marks within the cutoff score so as to get shortlisted in the Gujarat HMAT exam. 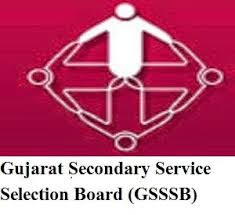 The officials of Gujarat State Education Board will decide the minimum marks that a candidate must score in order to be in the merit list. And the candidates whose score is not within the cut off marks are ineligible for the post of Head Master. 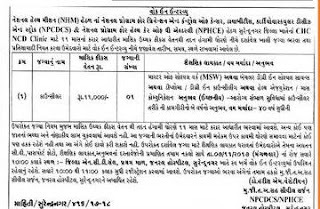 How to fill Gujarat TET Application Form? 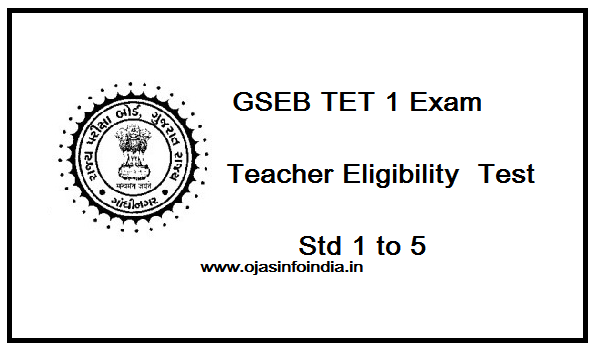 Candidates, who wish to fill the online application for teacher’s eligibility test conducted by Gujarat School Examination Board, need to first of all visit the official website that is ojas.guj.nic.in. 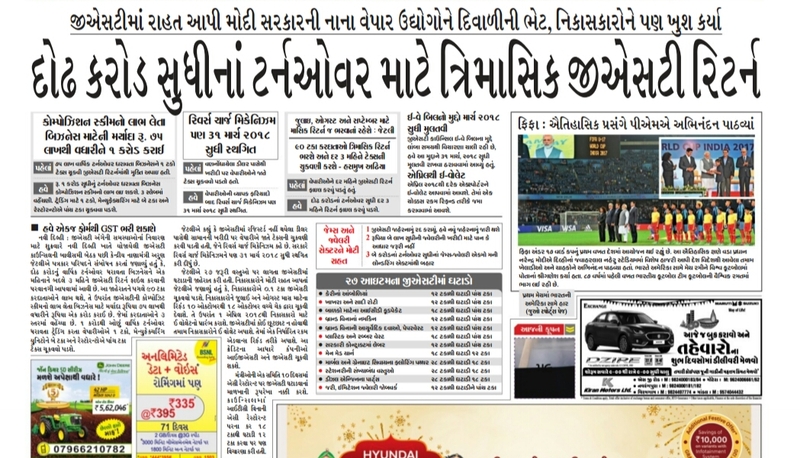 After that, aspirants need to move on to “TET Primary Teacher English / Hindi / Gujarati Medium” option. Now, select “Apply Now” tab for getting the online format of Application Form. Fill Online Application Form with required information complete in all respect. Upload your pass port size photograph, signature and pay requisite fee of application. Press ‘submit’ tab for making final submission of application and get print out of application form for future reference. Here is Information about GST Related Latest News 7th Oct 2017,New slab,New Notification,New Announcement and all Information. The GST council today announced major cuts in taxes of various items and announced various measures to support exporters and small businesses, three months after the new taxation system was launched. Finance Minister Arun Jaitley addressed a press conference on GST relief measures. The council had day-long discussions on various aspects of the GST implementation. The focus being, relief for small, medium traders and exporters. Many states have backed demands to relax rules that require businesses to file three returns every month. All synthetic filament yarn, such as nylon, polyester, acrylic, etc.